The following blog is the latest in our series of guest blogs. It is from James Potter, The LinkedIn® Man. James and I ‘met’ on LinkedIn® when I responded to a post. We engaged online and then spoke on the phone. I have already passed James a referral for potential business with an old client of mine. I asked James to write for our blog visitors. His contribution is below. I recently spoke with Jonathan and he asked if I could put something useful together for you all. So, working from a keynote I did recently around a “top five” things to do on LinkedIn®, rather than keep it quiet here they are for you. The thing that surprised many people at the event was the sheer size of LinkedIn® with over 200 million business professionals globally and over 11.2 million in the UK alone. The best estimates are 350 million business professionals on the planet and over half are on LinkedIn®. If you want some more reasons why you might want to look closer at LinkedIn® see here for an old blog post. Use it – Has to be the first tip, simply use it, often. Make it work for you, share an update and give people a reason to find you interesting, to look at your profile and to share in your positivity and successes. With over 2.2 Million directors and above in the UK alone it is the best sales tool for you that you don’t know you have. The reason people don’t look at you is that you probably haven’t given them a reason to.Have a photograph of you in business dress – A good photo makes you seven times more likely to be looked at. The scary thing is that someone makes a decision based on your image in just 10 milliseconds, so make sure you look professional and look your best! There is no excuse and there will be someone close to you that can get a good profile photo for you. Worth every penny in my opinion. You wouldn’t go networking with a paper bag on your head would you? Talk to people – People are often amazed that I encourage people to talk on the telephone, Skype, face to face – you know like real life. The people you know are real, are human and you must treat them that way. People are people on and offline, if you wouldn’t do it face to face then you shouldn’t do it online either. Let your personal profile be personal – Be yourself, no point being someone you’re not, create your profile in your style, in your way; if your wordy it will be wordy; if your succinct it will be and let your personality, the way you are out to shine. People engage with you or “buy” you because of the way you do things, your unique outlook, credibility and skills so get them into your profile. Write it in a first person and use a personable style. Treat LinkedIn® like a big business networking session – use the same style of communication, the same type of language and act the same way. If you go networking you don’t avoid engaging people in conversation and you don’t ignore all the people that try to talk to you – so don’t do it on LinkedIn®! You don’t get fit having a bike in the garage. You need to ride it to make it work. LinkedIn® is just the same, you need to use it and make it work to get the results you deserve. 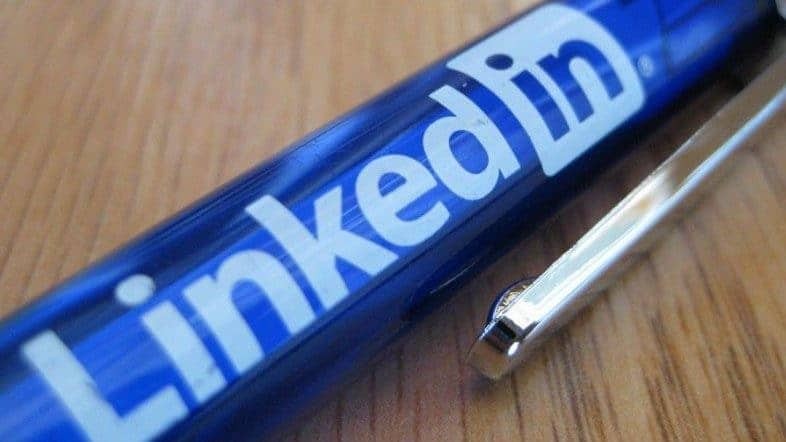 These tips won’t instantly transform your LinkedIn® experience and results, for that you need to know more and you might even want a course . When should you use telemarketing to target big companies?